Full Estate Agents Service. Online Estate Agents Price. Award Winning Independent Bristol Estate Agents. Founded in 2014, Boardwalk has successfully made vast improvements to the ageing ‘high street’ style of Bristol estate agents service, removing elements that are no longer required and using innovations in marketing and technology to improve the service; helping sell homes quicker and for higher prices. Boardwalk offers a Bristol estate agents service with no upfront set up costs and no hidden additional costs. You receive a full Bristol estate agents service that includes professional photography, a floor plan and Energy Performance Certificate, all included in our exceptionally low 0.66% inc VAT fee making us a cheap estate agents Bristol. Boardwalk is now widely regarded as the best estate agents Bristol and has been recognised by receiving multiple awards alongside over 200 five star customer reviews. We offer a much lower sales fee than Bristol high street estate agents. This is possible as we have removed the costs associated with an outdated and expensive high street shop front – choosing to work from offices instead, then passing the savings we make on to you. We offer the finest personalised service with energy, communication and proactivity; three words to best sum up the service Boardwalk offers. When setting Boardwalk up, we visited real estate agencies in New York to learn how we can duplicate their world-renowned customer service within an estate agents in Bristol. We have modernised our service delivery and operations through technology. Among other innovations, we offer an online interface for clients to log in and view updates on their property sale. We also use iPads with 4G link to the office at viewings so no question goes unanswered. Unlike old-fashioned estate agents in Bristol, we also only ask for a 30-day contract with you. Who likes a cliché estate agent anyway? Not us! We have added some ‘Bristol’ to our service and removing the pointy black shoes, pink ties and company branded umbrella’s and replacing them with smiles, honesty and approachability. "They managed my property sale in a very professional manner, communicating with me at least once a week." "They were responsive, professional and friendly. I cannot recommend them highly enough." "It has felt like a personal service with Nick and Heather always responding quickly to emails and phone calls." We offer an improved full estate agency service in Bristol, just without the shop front. Some say we sit in between the online model and the high street agents. Here is how we compare. So how do we find buyers for your property so quickly? We advertise on all the major online marketing portals including Rightmove and Zoopla. 98% of property searches begin online. We rank highly on Google’s search rankings for key buyer search terms like ‘Estate Agents Bristol’, meaning we get av. 1200 visits to our website every week. More buyers for you! We have an extensive active database of Bristol based buyers. We match every new property instruction to our active database, generating viewings. Working closely with our sister company The Letting Game (Bristol’s largest letting agent) we have an ever-growing list of property requirements from Bristol based landlord investors. We choose social media over the printed press. One example is we run 'guess the price' competitions on Facebook in the immediate local area of the property just before we begin marketing, often getting over 100 guesses for each property. People also tag their friends who they think may be interested and we average 1.5 viewings per property just from this competition. We market our clients properties to overseas purchasers. We founded a website that is a one stop shop for overseas investors looking to buy in Bristol, alongside marketing our properties on the Chinese 'Rightmove'. We believe your property should be presented to the world in its finest light; thats why we offer all our vendors free professional photography. Our uniquely designed OpenDoor technology means we are the only estate agents in Bristol who can offer our clients a truly transparent service, from start to finish. You receive a personal log in and can view your journal showing all the activity on your property, with real time viewing feedback from people interested in your property including their buying position. 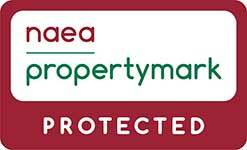 Boardwalk Property Co. are a Bristol Estate Agency that are proud members of both the National Association of Estate Agents (NAEA) and The Property Ombudsman. Click above to explore our Head Office or Click here to view full-screen. A Partnership with Bristol Green Doors, taking part in a successful weekend with home owners at the end of September. We are one of the first estate agents to redesign our marketing details for each property to include a specific section on energy efficiency. Terms and forms e-signed rather than sent out on paper. An initiative in the early part of 2015 in association with Trees for Cities and Big Tree Plant where Boardwalk plant 15 trees in Bristol for every property sold. We aim to go paper free where possible, emailing details to buyers prior to viewings and bringing iPads rather than wads of paper. We look to use recycled material where we can and are looking in to recycled 'for sale' and 'sold' boards.